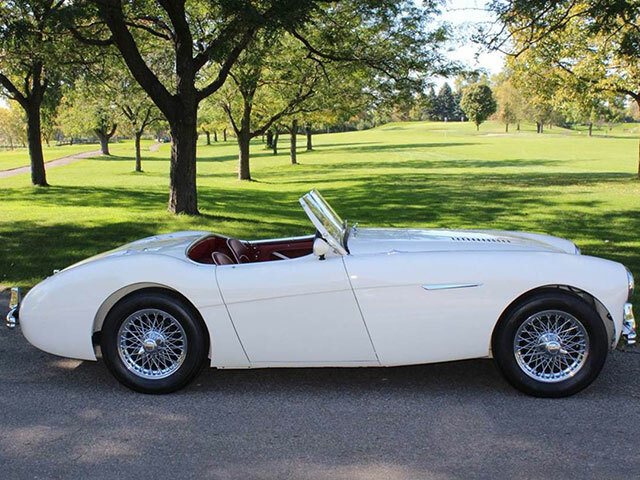 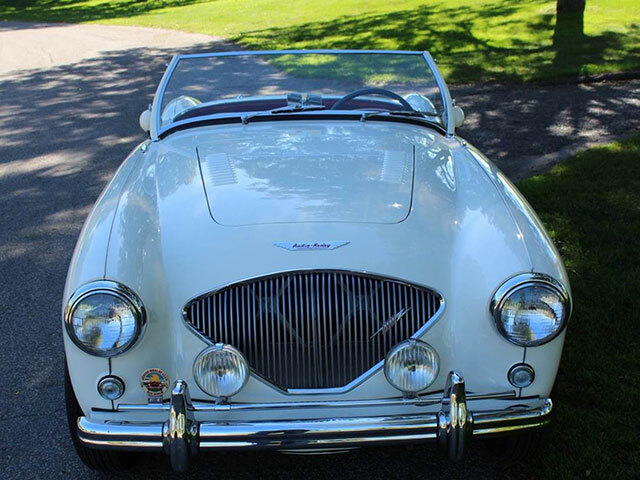 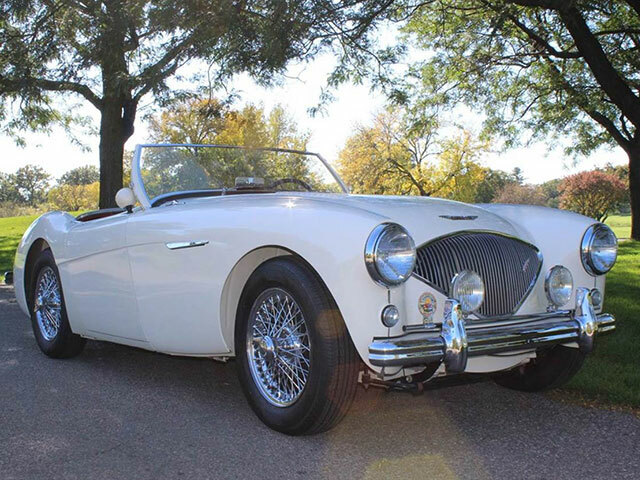 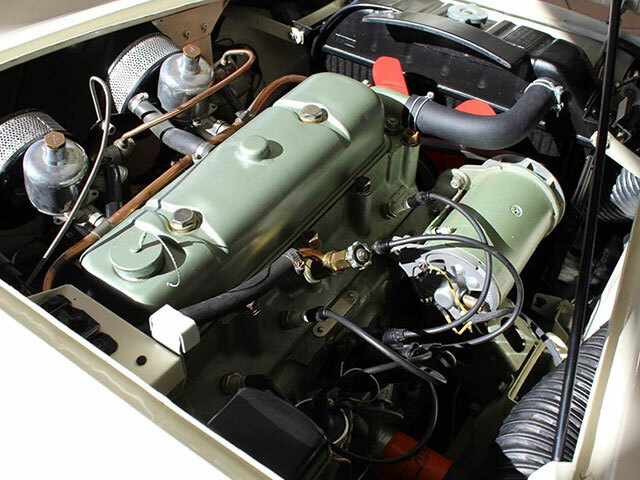 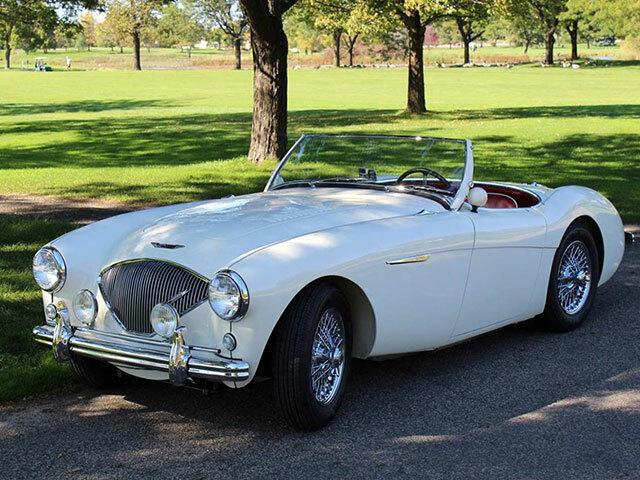 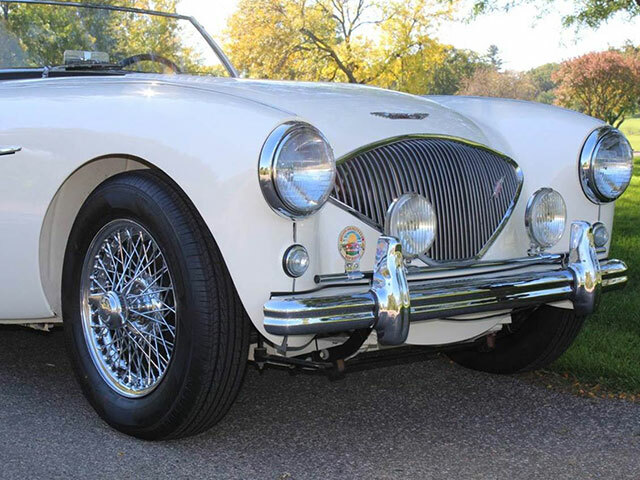 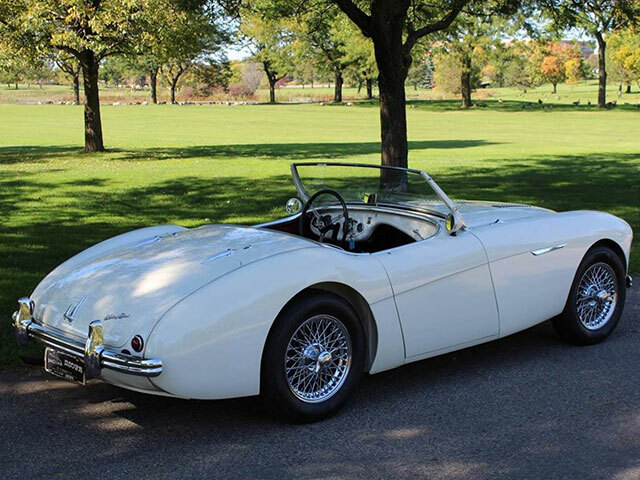 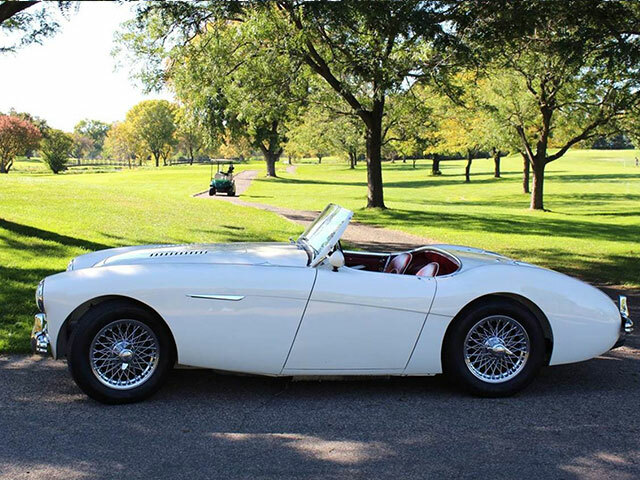 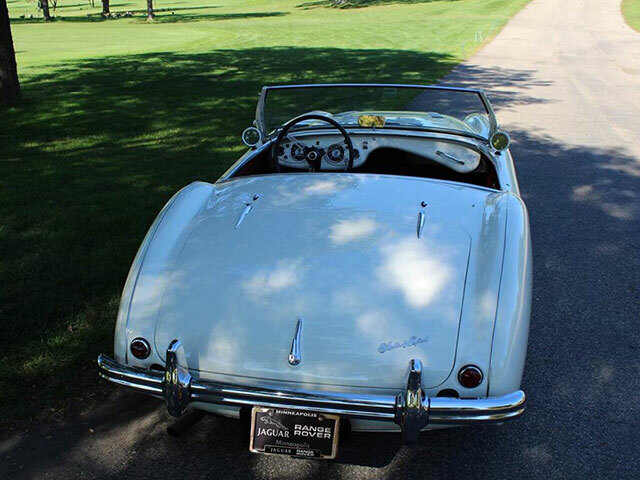 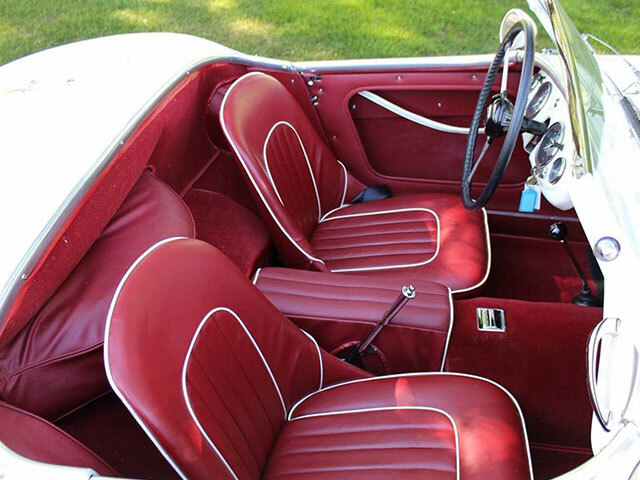 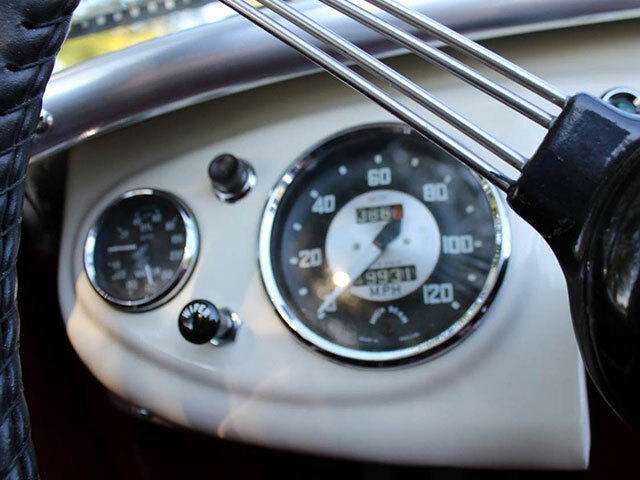 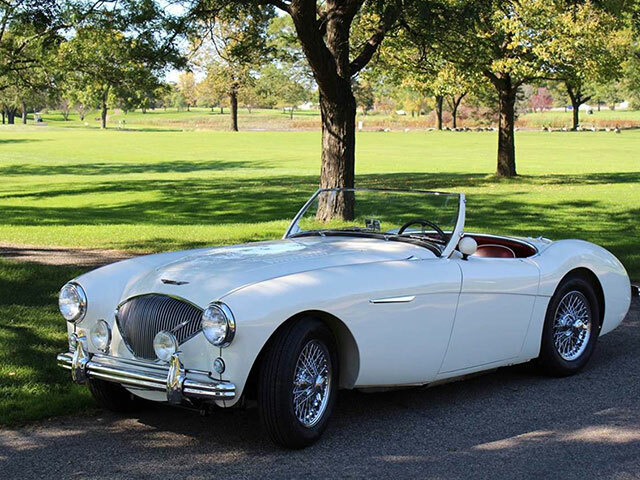 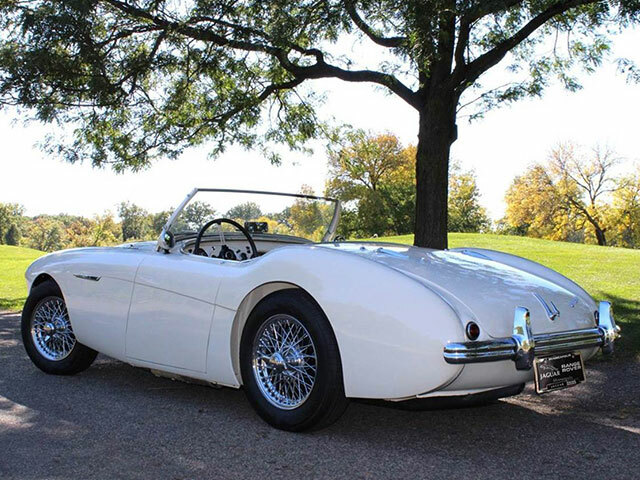 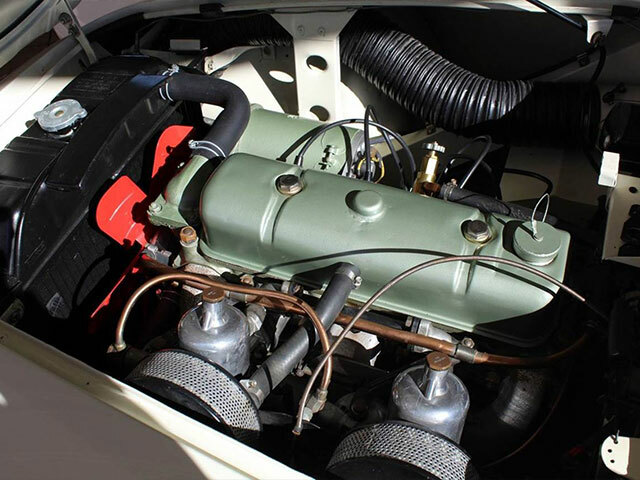 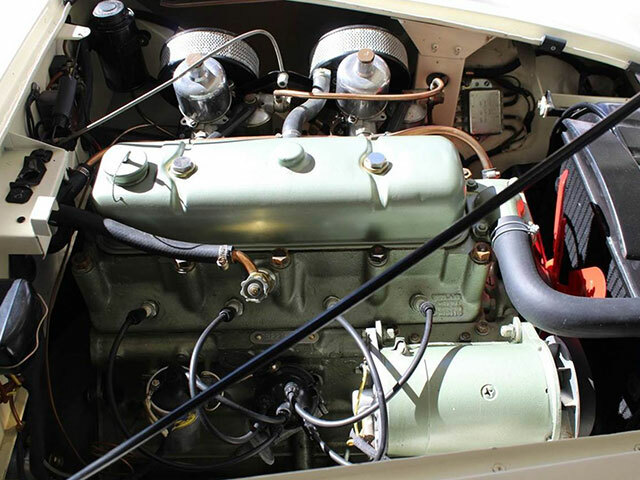 This beautiful Healey is a numbers matching car complete with registry certificate that matches the body, chassis and engine number. 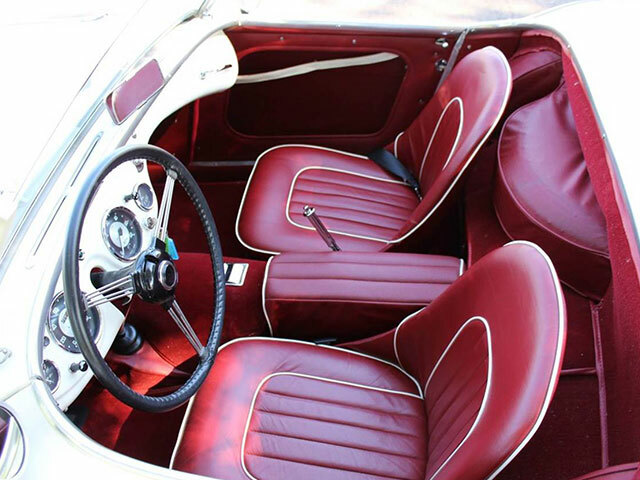 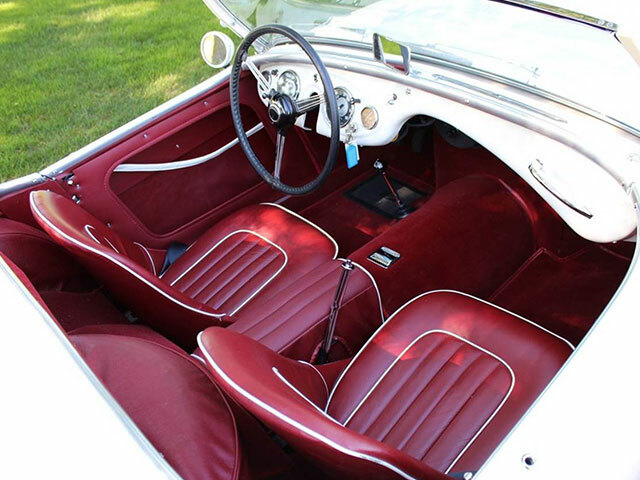 Painted in “Snowberry White” with red interior interior and white piping this car is stunning! 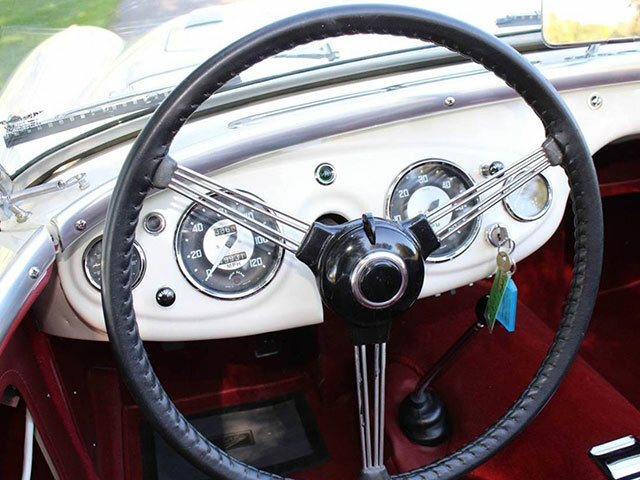 Details include a badge bar, stainless steel exhaust system, electric fan, driving lights, high quality chrome wire wheels including the spare. 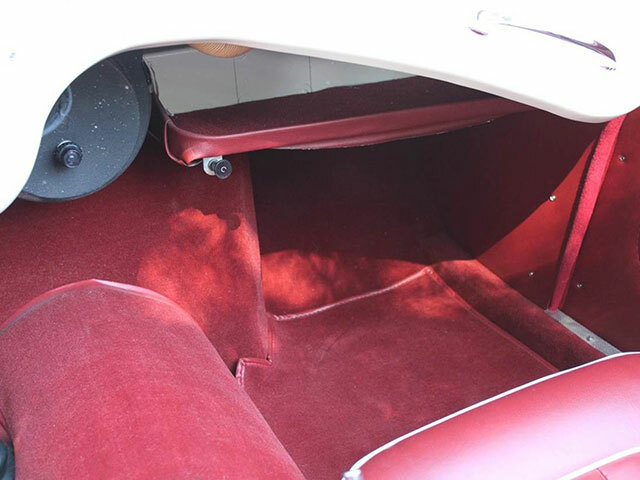 Leather steering wheel cover, red tonneau, car cover and the signature 100-4 fold-down windscreen. 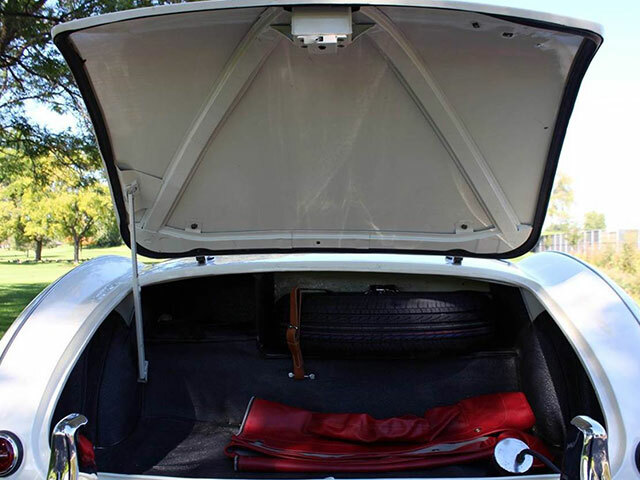 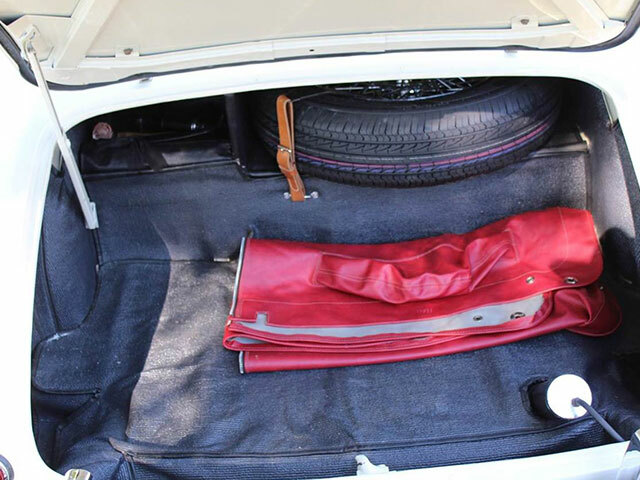 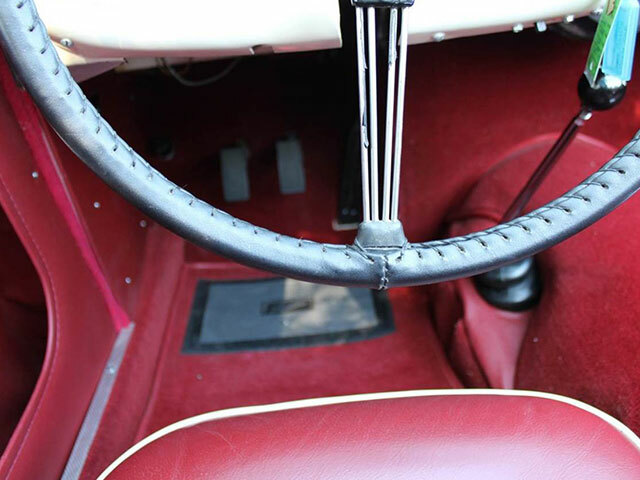 Included with the car is the original unrestored black vinyl top and the original side curtains, original owner’s manual, tool roll, jack and car show display board. 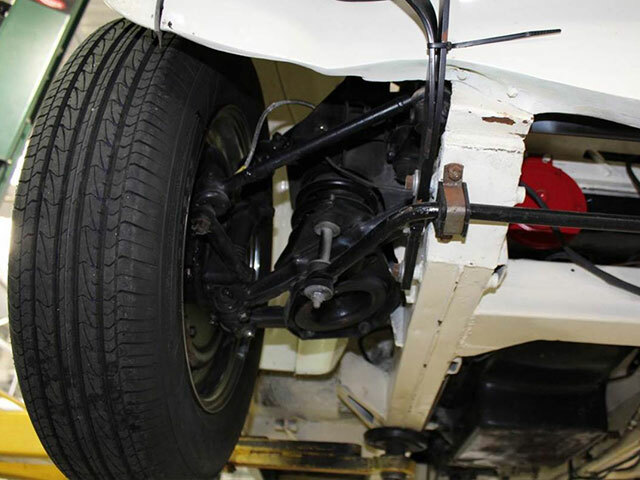 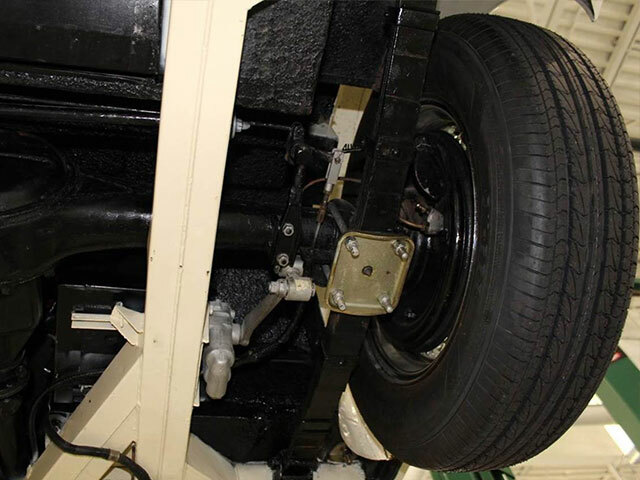 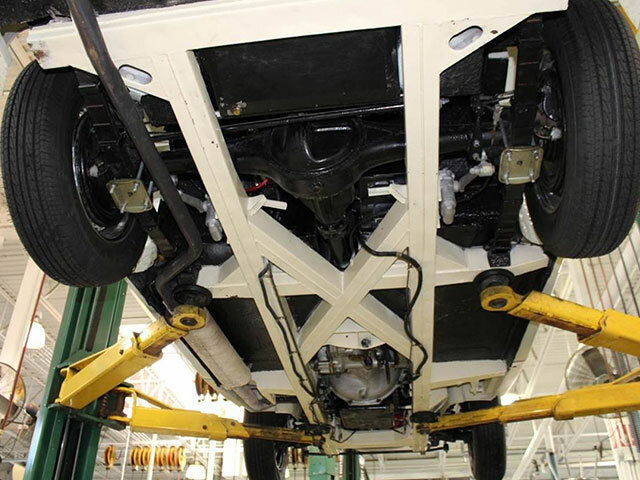 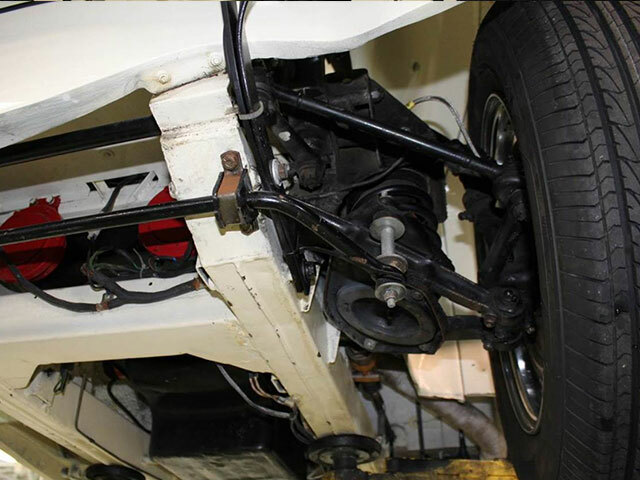 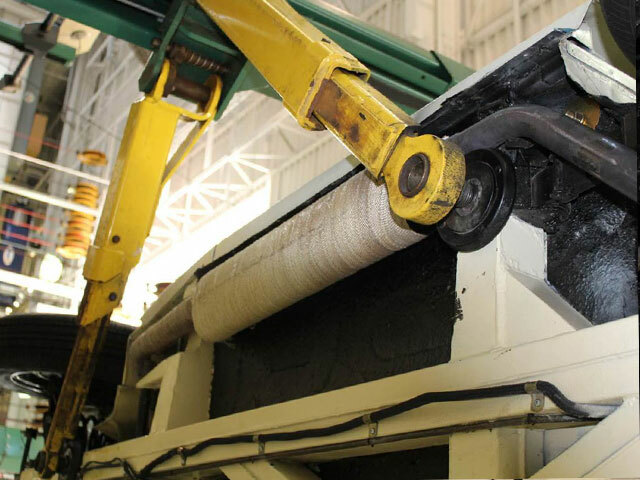 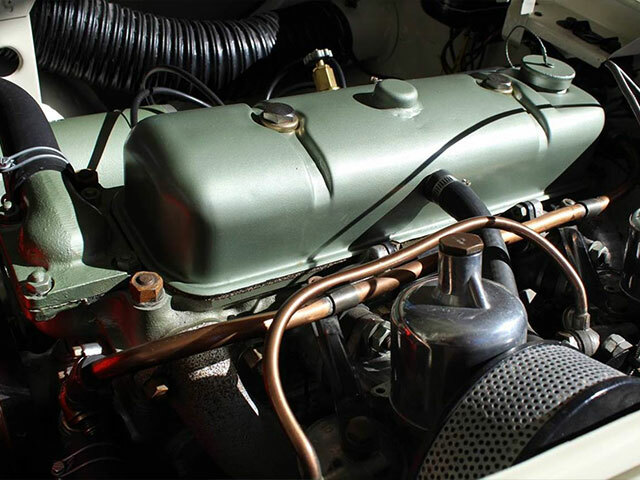 Under the bonnet it is show-quality clean with correct details down to the correct hose clamps. 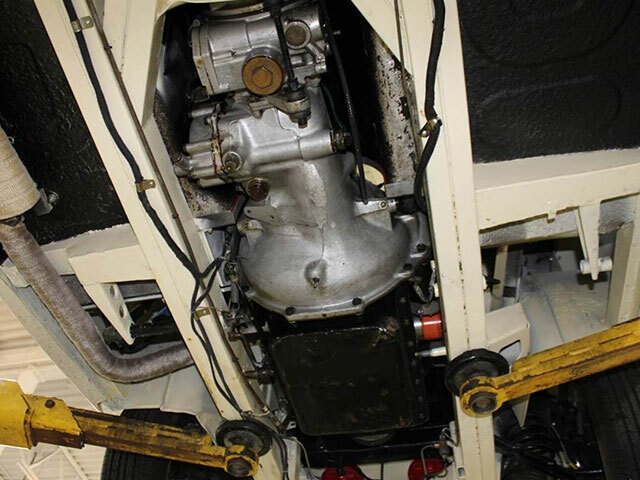 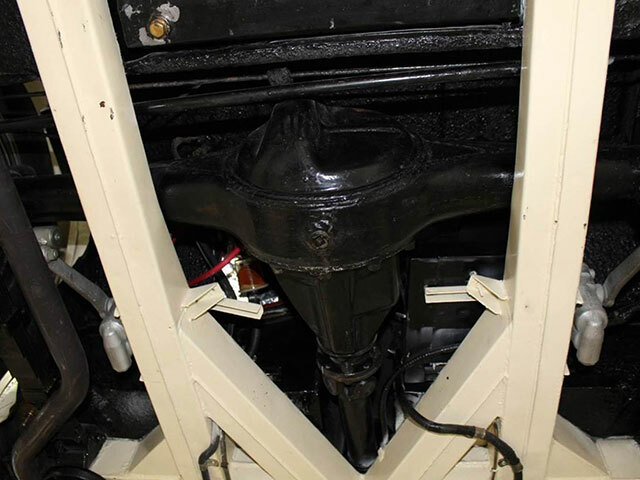 Being a BN1, it is fitted with the very rare 3-speed gearbox with electric overdrive. 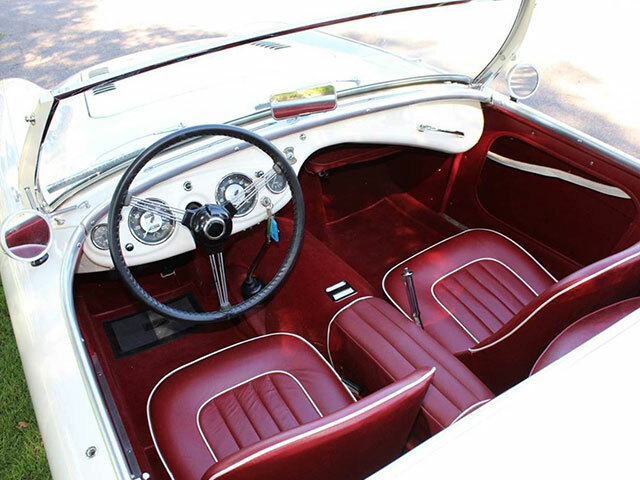 This car has been in California most of its life and has been restored to original. 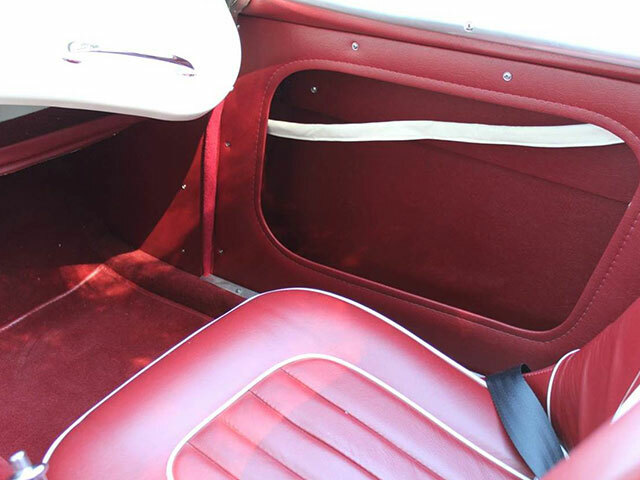 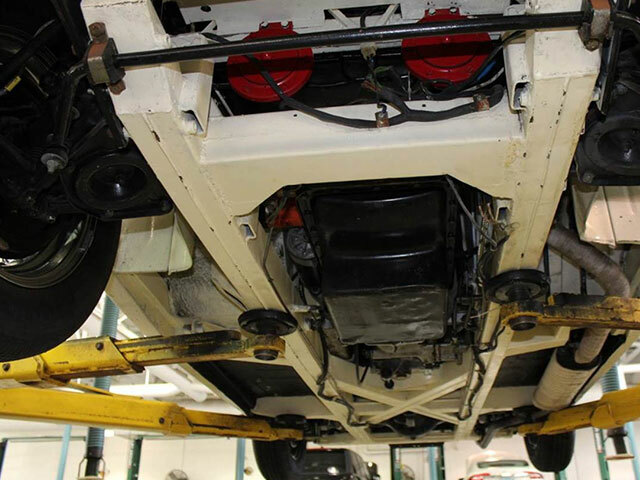 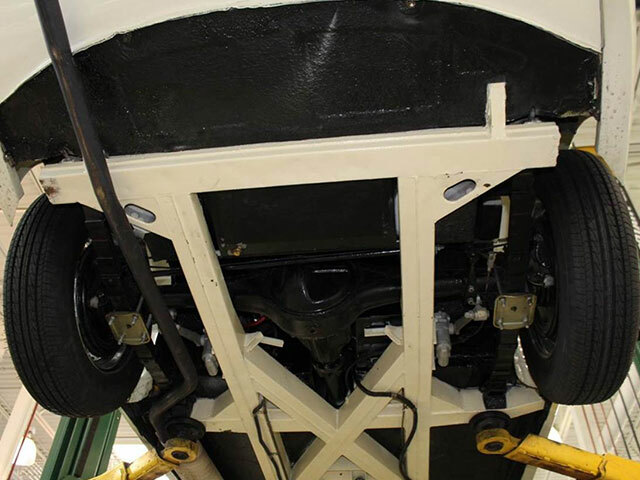 The car has less than 1000 miles since restoration.